Last weekend, Nik and I had the chance to be spontaneous, the kids were with their grandparents for the weekend so we decided to head out for dinner on Friday evening, we thought it would be good for us both to get out together, alone. I had just found out there was a new sushi restaurant in Lewes which is really exciting as so far we've had to travel to Brighton for sushi or make do with Waitrose's offerings. The restaurant was pretty quiet for a Friday night but there were a couple of other tables occupied and it meant we got served quickly. The menu was extensive with plenty of choice ranging from sushi to thai curries so if you're not keen on sushi, there are plenty of other options from the far east, we had trouble deciding what to order as it all sounded so good! We ordered a range of starters instead of having a main as we wanted to have a selection of sushi and other things. The sushi is quite expensive as it usually is when done properly. It was worth it though. Our food came out in the order it was ready and was all nicely presented. We ordered prawn gyoza, vegetable tempura, salt & pepper squid, chicken yakitori, salmon temaki and tuna sashimi as well as some egg fried rice. We also received a surprise dish on the house, a miso aubergine. 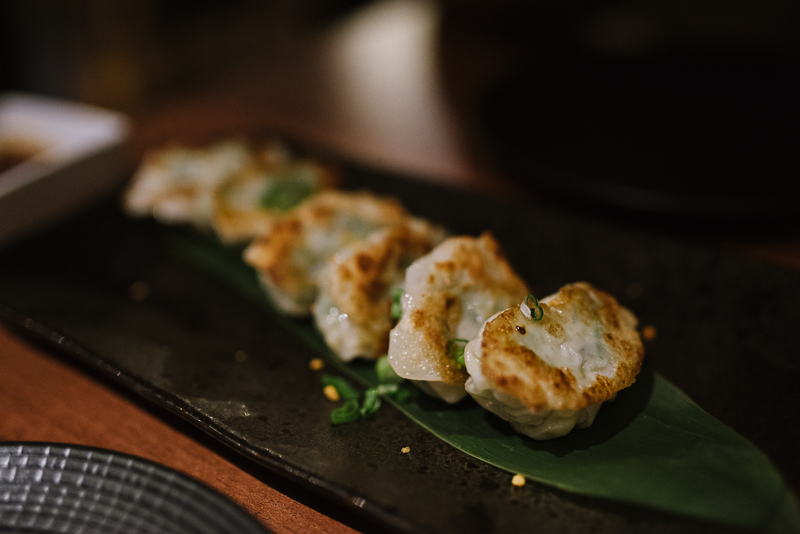 The prawn dumplings were one of my favourite dishes, served with a spicy soy dip, they were pretty big too. Everything was so nicely presented and there wasn't anything we didn't like. The squid came with a nice garlic mayo and the batter was so crisp and light as was the tempura batter. The tempura veg selection was lovely, we had asparagus, butternut squash, onion, pepper and aubergine. The chicken yakitori was another favourite of mine, so tender and delicious. The sushi was top quality, we loved the hand rolls, they had plenty of salmon (much more than we were expecting in fact) and nice crunchy fish roe. 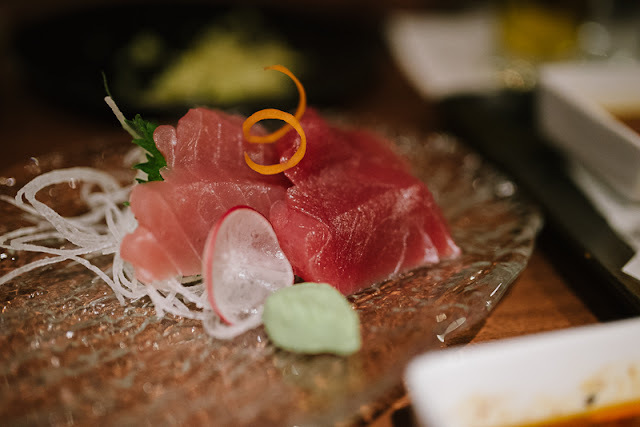 The tuna sashimi was amazing, so fresh and thick cut, served with mooli and a shiso leaf and of course, wasabi. 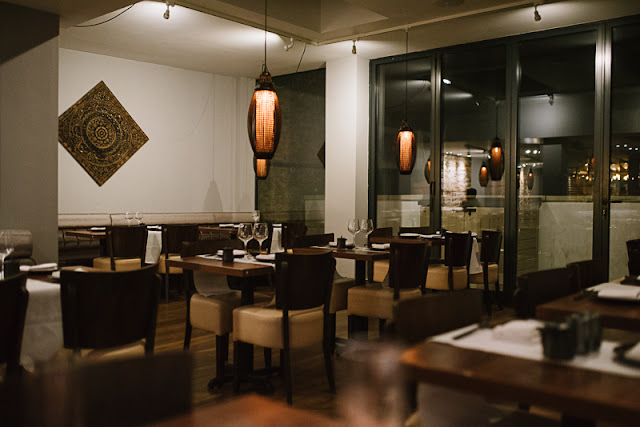 ISSA Sushi is where Thai Lemongrass used to be on the High Street. We'd heard the Thai place was good but hadn't yet been so I don't know if they've changed the interior or not but we liked the decor. Simple with some beautiful wall decor and lighting. Service was very attentive, we almost felt like we were being watched at some points as it was pretty quiet in the restaurant but the staff were all friendly and chatty which was nice. The atmosphere would have been fab if there were a few more patrons, there was music playing but the place felt quite empty. 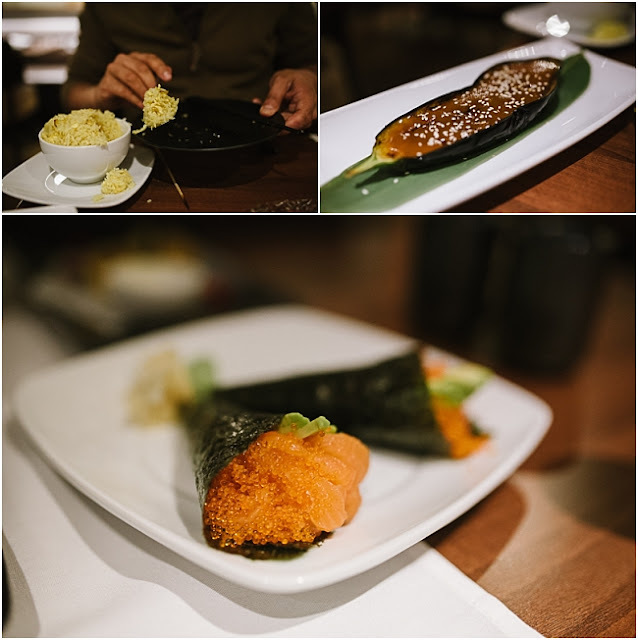 Overall we really enjoyed our evening at ISSA sushi, we definitely plan to go back. The sushi is expensive but as I already said, it usually is when done right and good quality which we found it to be. We just didn't go mad and balanced it out with cheaper options like the veg tempura and portion sizes were good so we were pretty full when we left.